The first number will be about the new videogame Battlefield 4. Let’s start with Battlefield 4, It’s the successor of Battlefield 3 which was released in 2011. The Game is available for Xbox One, PC, PS4, PS3 and Xbox360. Gameplay: Battlefield 4 features suffered several changes compared to its predecessor. The game’s heads-up display is much the same, composed of two compact rectangles. The lower left-hand corner features a mini-map and compass for navigation, and a simplified objective notice above it; the lower right includes a compact ammo counter and health meter. 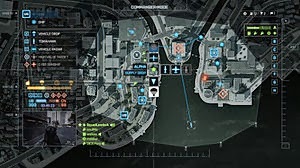 The mini-map, as well as the main game screen, shows symbols marking three kinds of entities: blue for allies, green for squad mates, and red/orange for enemies. Multiplayer: Battlefield’s multiplayer contains 3 playable factions; U.S., China and Russia and up to 64 players on PC, PS4, and Xbox One. A newly reintroduced “Commander Mode”, last seen in Battlefield 2142, gives one player an RTS-like view of the entire map and the ability to give orders to teammates. Also, the Commander can observe the battle through the eyes of the players on the battlefield, deploying vehicle and weapon drops to “keep the war machine going”, and order in missile strikes and such on hostile targets (as long as at least one friendly player can see the target). A spectator mode is included, enabling players to spectate others in first or third person, as well as use a free camera to pan around the map from any angle. 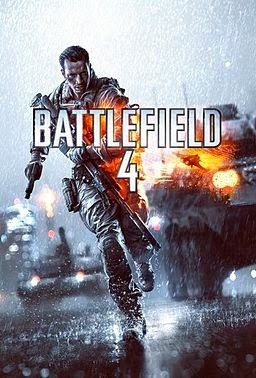 Engine: Battlefield 4 is built on the new Frostbite 3 engine. The new Frostbite engine enables more realistic environments with higher resolution textures and particle effects. A new networked water system is also being introduced, allowing all players in the game to see the same wave at the same time. Tessellation has also been overhauled. An Alpha Trial commenced on June 17, 2013 with invitations randomly emailed to Battlefield 3 players the day prior. The trial ran for two weeks and featured the Siege of Shanghai map with all of its textures removed, essentially making it a whitebox test.